The globally successful family business based in Amstetten/Austria achieved revenue increase for the third year in a row. At 1.092 billion Euro, sales improved by three percent compared to prior year. 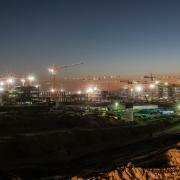 An indication that the growth strategy is coming to fruition despite several challenges confronting the Group in 2013. With results bested only once in the 150-year history of the company, the Umdasch Group continued its successful business development in an economically challenging environment. In spite of continued volatility in the markets, at 1.092 billion Euro the Group's revenue increased by three percent compared to 2012. Totalling 74 million Euro, the operating income exceeds prior year's results by one million. Additional important key figures for company development include cash flow from ongoing business activity that was increased by € 102 million within one year. A € 33 million reduction in working capital despite increasing sales played an important part here. In the wake of the economic crisis that generally resulted in business activity bottoming out, Doka Group has stabilised and is able to catch up to pre-crisis levels. While Eastern and Southern Europe continue to fluctuate between persistent economic slowdown and repeated flickers of a turnaround, Central and Western European regions managed to increase their market shares. Nevertheless, this past year the overseas markets once again delivered the reliable constant of growth. Outstanding performances came from the Middle East, East Asia & Pacific as well as North America. International flagship projects in 2013 included Dam Sarvsfossen in Norway, the world's largest sea lock in Antwerp, Studencica Bridge with a 555 m span, a great highrise building in Italy, Torre Isozaki, and the tallest residential building in America at 432 Park Avenue in New York. In contrast to the Doka Group, the shopfitting business and thus the business of the Umdasch Shopfitting Group, the Group's smaller subsidiary, remains challenging. The stagnating development of merchandising and the resulting cautious investment activity leave their marks on the shopfitting business that is internationally active as well. With a 13.8% deficit in revenues there is also a significant impact on the balance sheet. Although 2013 brought opportunities for realising many outstanding projects (such as the opening of the 4,500-sqm Modehaus Stöcker or Paris Galleries in the Middle East), sales dropped markedly – by approx. a quarter in Germany. Headed by Silvio W. Kirchmair, the Umdasch Shopfitting Group is in the process of extensive restructuring. One important step was to organise the Divisions by responsibilities rather than regions as had been the case: Fashion & Lifestyle, Food & Care, Premium & Travel Retail as well as Vibiz that deals with the interconnection of stationary and online merchandising. As a result of its strong international orientation, in 2013 the company was also subject to factors that cannot be influenced. For example, exchange rate fluctuations had a significant negative effect during the report year. They represent the lion's share in the reduction of net income for the year to a total of + 23 million €. But for one exception, compared to the Euro all export currencies devalued. With foreign sales making up nearly 90% of the overall business, this fact causes a serious drag on overall results. One issue that continues to be a struggle for the Umdasch Group at the Amstetten location is regular utilisation of Production. A discussion on introducing a model for flexible work hours concluded in a negative vote from the workforce. Suspension contracts, reducing the number of agency employees, reduction of acquisitions were measures taken to prevent major staffing cutbacks. 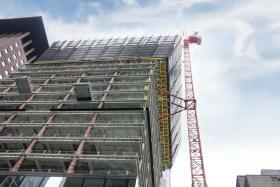 Results from the first Quarter in 2014 indicate continued steady growth at Doka Group. The successfully implemented strategy for internationalisation will continue unabated – by working hard in existing markets as well as developing new ones. This year the Umdasch Shopfitting Group continues in restructuring mode. Nevertheless, a program for reducing costs combined with comprehensive optimisation measures is not expected to return the company to profitability in 2014. 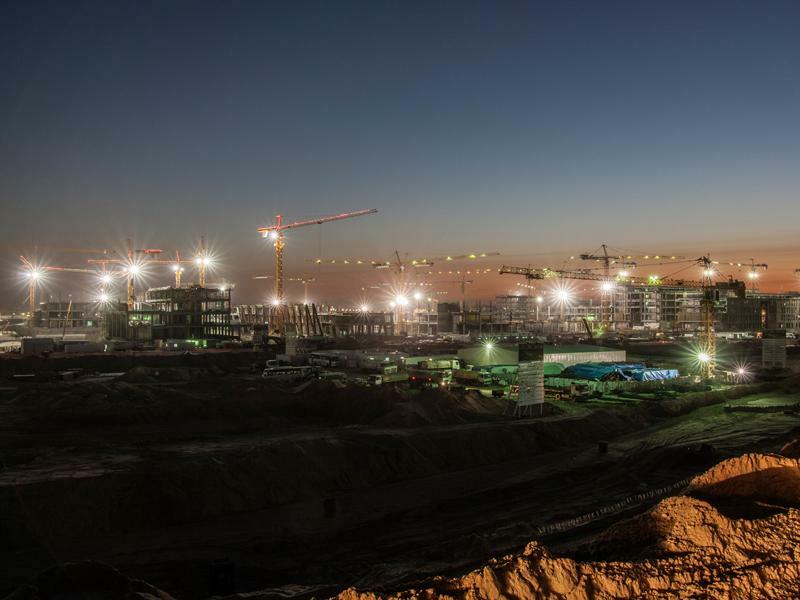 The internationally successful Umdasch AG with its Doka Group and Umdasch Shopfitting Divisions operates in roughly 70 countries at more than 170 locations. As one of the leading companies in concrete system formwork and shopfitting, the family business employs 7,400 staff worldwide at this time. With nearly 1.1 billion € in sales, the company is one of the top players in the domestic industry sector. The Group's main focus on internationalisation will continue to drive growth for the Umdasch Group in the future. Currently 88% of revenues are generated abroad. Thank you for your interest - Umdasch Group continues on growth course. Thank you very much for your interest - Umdasch Group continues on growth course.